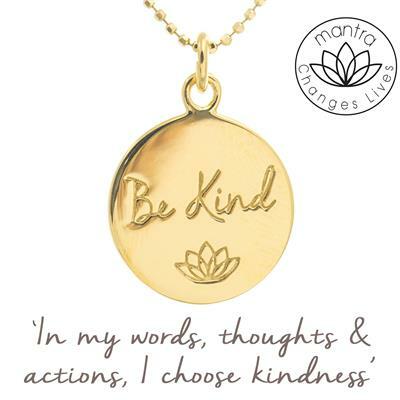 The 'Be Kind' necklace by Mantra raises money for, and awareness of, Bullying UK, part of Family Lives, the national family support charity. The necklace carries the powerful words, 'Be Kind', alongside the lotus symbol, which represents regeneration and rising through difficulty. The mantra on the accompanying card is, 'In my words, thoughts and actions, I choose kindness'.